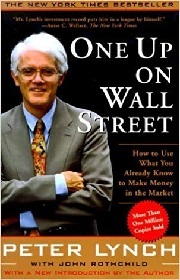 Penned by the famous mutual-fund manager, Peter Lynch, this book elaborates the many advantages that an average investor has over professionals and how they can help them reach financial triumph. How To Use What You Already Know To Make Money in The Market explains how your knowledge alone can assist you beat the pros of investing. From the viewpoint of America's most triumphant money manager, investment chances are extensively accessible. Whether supermarket or work place, you can find goods and services everywhere. You have to select these organizations in which to invest, before they are found by skilled analysts. You will find more interesting knowledge on investment. Thus the book has become one of the best seller and treasure among readers. Moreover, this book provides time less recommendation on money business. 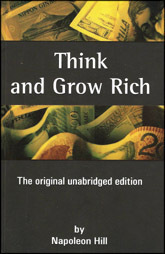 This book has discussed the tips, ebb and flows on building it big in the investment market.research. Now, in a new introduction written specifically for this edition of One Up on Wall Street, Lynch gives his take on the incredible rise of Internet stocks, as well as a list of twenty winning companies of high-tech '90s. That many of these winners are low-tech supports his thesis that amateur investors can continue to reap exceptional rewards from mundane, easy-to-understand companies they encounter in their daily lives. Investment opportunities abound for the layperson, Lynch says. By simply observing business developments and taking notice of your immediate world -- from the mall to the workplace -- you can discover potentially successful companies before professional analysts do. This jump on the experts is what produces "tenbaggers", the stocks that appreciate tenfold or more and turn an average stock portfolio into a star performer. The former star manager of Fidelity's multibillion-dollar Magellan Fund, Lynch reveals how he achieved his spectacular record. Writing with John Rothchild, Lynch offers easy-to-follow directions for sorting out the long shots from the no shots by reviewing a company's financial statements and by identifying which numbers really count. He explains how to stalk tenbaggers and lays out the guidelines for investing in cyclical, turnaround, and fast-growing companies. Lynch promises that if you ignore the ups and downs of the market and the endless speculation aboutinterest rates, in the long term (anywhere from five to fifteen years) your portfolio will reward you. This advice has proved to be timeless and has made One Up on Wall Street a number-one bestseller. And now this classic is as valuable in the new millennium as ever.